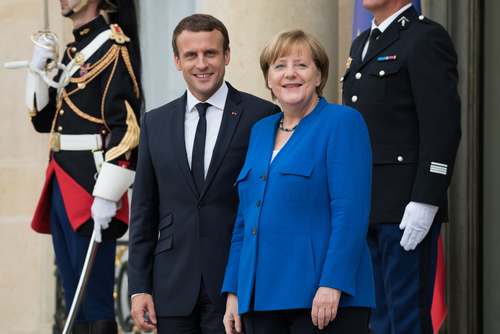 Chancellor Angela Merkel has rejected France’s Macron’s proposal for the establishment of a euro finance minister. Merkel has also stated that she wants a planned EU budget for the Eurozone area as part of the EU budget. She does not want an independent budget for the 19 countries of the monetary union. Merkel is still adhering to her view that the quantity of money causes inflation and it has been that policy which has suppressed the European economy for the last decade. A Euro finance minister she argues would lack both a budget as well as there would be no parliamentary control. The Eurozone economy certain cannot be rectified by the appointment of a Finance Minister who indeed has no real power. On that score, Merkel is correct. However, her idea that the German Hyperinflation was caused by the increase in the supply of money is just wrong. That policy has been forced upon the rest of Europe and it is the very issue that is tearing the union apart. This is part of the reason behind the growing lack of confidence in the euro. It is also why there are those in Southern Europe who are beginning to resent Germany and view their own countries as being occupied with their domestic policies dictated by Germany. This is not a healthy situation for the EU longer term.